I’ve also made an extended version of this psychedelic art stock. 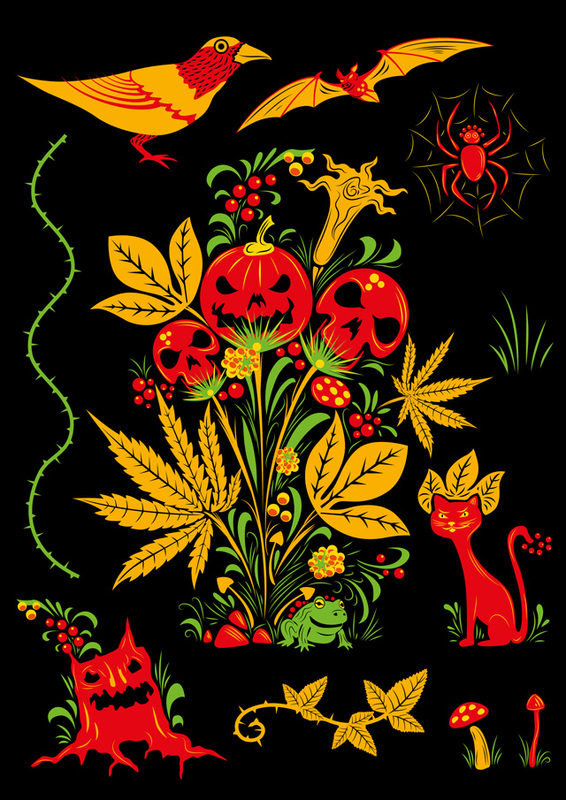 It includes a bat, a cat, a bird, a spider, a stump, a bramble branch, two more types of magic mushrooms and a vine with spines Adobe Illustrator Pattern brush. Below you can see the preview of the extended version of this freebie. You can download it if you are subscribed to my newsletter. If you are not already subscribed to it you can use the form on top right side of this blog. 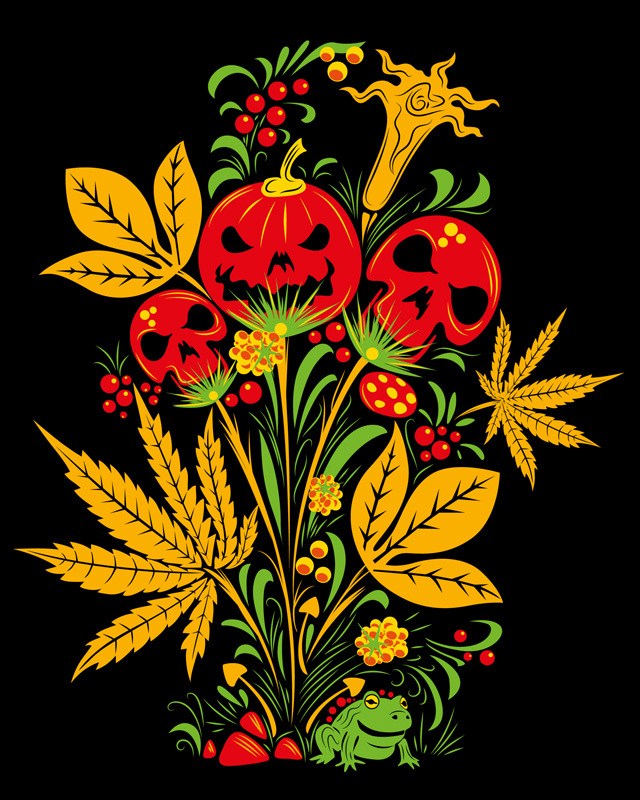 You can alter this artwork and use it in any matter as long as it is legal. I grant you the right to use this artwork commercially and/or personally, but you can not resell it. You can not sell these files stock sites and print on demand sites. If you have any questions about my art or you’d like to hire me for psychedelic graphic design, please feel free to email me (grebenru@gmail.com), call on Skype (grebenru) or connect on Facebook.